Parents have more than one child, in part, so their children can have each other, right? But when the two start squabbling, or one decides the other looks like a perfect baseball (to hit out of the ballpark) how should parents react? Dr. Joshua D. Sparrow, child psychiatrist with The Brazelton Touchpoints Center, and author of the book, Understanding Sibling Rivalry, shares his expertise on how to guide our children towards a love that can last forever! How do parents deal with the older child acting aggressively to the younger child? Once the younger child is old enough to scream for help and scramble away to safety, parents can usually stay out of sibling squabbles. When parents are drawn into them, these become more exciting. As a result, there’s bound to be even more fighting. Instead, it helps to stay out of these fights as much as possible. There is rarely any reason to or hope of figuring “who started it” or “whose fault” it is. Once the children understand that you have no intention of getting involved in discussions like that, fighting with each other becomes less exciting. They need to know what the limits are. However it’s important not to single out one child or the other. Let them know that you expect them to settle their struggles and learn how to get along with each other themselves. When they’re too worked up to do that, they may need to be temporarily separated. But it’s important that the siblings understand this is their issue, not yours. Of course when the younger sibling is too small to yell for help and get away, a parent must protect her and keep an eye on the siblings when they are together. How do we deal with the situation of the younger child messing up the older child’s toys or games? Remove from room? Simply explain? Often this kind of behavior is the younger child’s way of trying to engage the older sibling. However it’s not realistic to expect the older one to adjust his play to her level. Parents can set up toys for the little one alongside the older child’s activities, but when she wants his attention, she’s bound to lose interest in her toys and go after his. The younger child’s intrusion on the older one’s play can also be her way of drawing in her parents, and drawing them away from the older child. It’s important not to reward her with lots of one-on-one time at these moments. She may be telling you that she needs a little more time with you, but set these up at other times, so that they don’t reinforce this kind of behavior. What should parents do when the elder sibling regresses, uses baby talk, or wants to be picked up all the time? As inconvenient as it may be, sometimes the older child still needs to be a baby too. When parents let him know they understand this, he’ll more readily let go of these behaviors – on his own. Struggling with them is bound to reinforce them, as will pressure to “be a big boy” or to feel proud about being “such a good big brother.” You both know this isn’t always as great as it’s cut out to be. Parents can offer him chances to help with the baby, or a baby doll to nurture, but the older child will need to feel that he is growing into this new role with his own free will. Does sibling fighting indicate a future of a fractured relationship? Almost all siblings fight. Yet many who do go on to care deeply about each other and to remain involved in each others’ lives. How can we cultivate sibling love that will last forever? Staying out of their struggles is a good start. So is avoiding taking sides, making comparisons, or playing favorites. Siblings also do need time with each other. With all of the pressure to develop each child’s individual potential, over-scheduling can interfere with this. Time together without a particular agenda, goal or pressure can help. Family time on weekends and school vacations – especially if these can be low key and low stress – can give siblings the chance they need to keep learning about each other, and to stay close. Try activities where it’s okay for the process to matter more than the product. For example try singing together, a hike, cooking or camping. 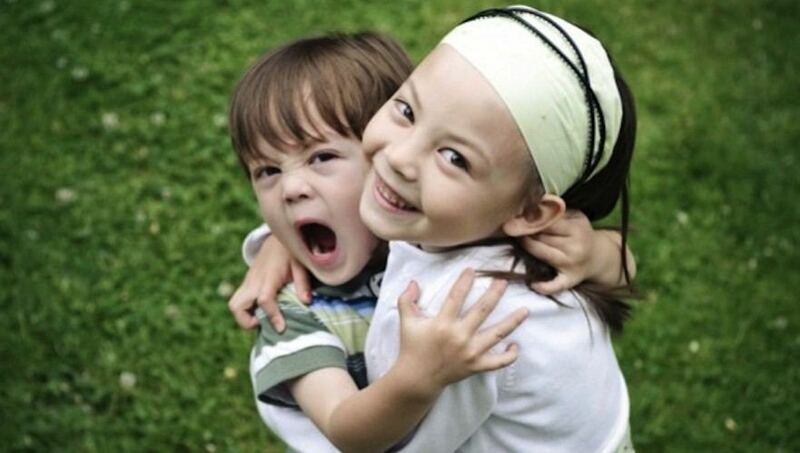 These can be great times for siblings just to enjoy each other’s company. In mainstream American culture it probably is. The focus is on the individual child, the individual child’s needs, potential and accomplishments, rather than on the relationships among siblings. Yet as resources dwindle and pooling them becomes increasingly necessary, values may change. Once getting along matters more than getting ahead, parenting may change too. Copyright 2011 by Joshua Sparrow, MD. All rights reserved. Dr. Joshua D. Sparrow, MD, Assistant Professor of Psychiatry at Harvard Medical School, is a child psychiatrist with the Brazelton Touchpoints Center at children’s Hospital in Boston as well. He is author of the book, Understanding Sibling Rivalry – The Brazelton Way, and many others. The Mother Company aims to support parents and their children, providing thought-provoking web content and products based in social and emotional learning for children ages 3-6. Check out the first episode of our series, “Ruby’s Studio,” which teaches children about how to express their feelings. We want to be a parenting tool for you! This is an absolutely brilliant piece. I LOVE what Dr. Sparrow says about getting along rather than getting ahead. My kids fight, but love each other enormously.